Happy 4th of July! In true Weekend Warrior fashion, I try to take every long weekend opportunity to get out and enjoy the beautiful scenery of the Western United States. 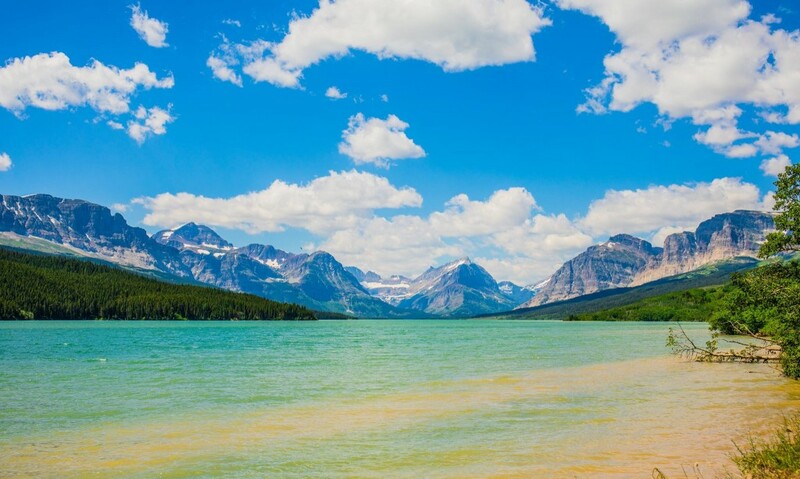 After a morning photo session, Brighton and I packed up and hit the road to Montana to visit one of my all-time favorite parks (so far), Glacier National Park. This was our second visit to the park, but last time we went about two years ago, the park was literally on fire and a large portion of the park was closed. We got a small taste of what it has to offer, and I wanted to experience more of it as soon as possible. I read that the glaciers of the park have been slowly disappearing, and are expected to be gone within the next 10 years! 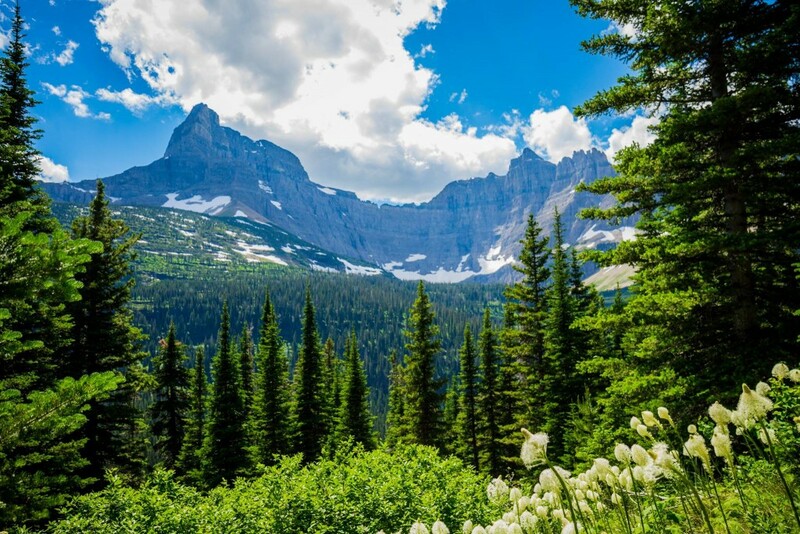 Glacier National Park has so much to offer as it’s the meeting place of diverse environments: there are sunny, warm and dry hillsides, shady, cool and moist slopes, valley floors with rich soil, and bony, raw mountain ridges all within a few miles of each other. George Grinnell, co-founder of the Audubon Society, was one of the advocates for maintaining this unique landscape for the native Blackfeet people and the establishment of this national park. He named it “Crown of the Continent in 1908— and the name stuck! On our first day after a late start, we drove to Montana. We stopped in Bozeman for dinner and ate at Montana Ale Works. We had some great burgers and local brew, and found our accommodations for the night at our AirBnB in Three Forks, MT. Our wonderful host was Karen who was finishing up a holiday BBQ with other guests as we arrived. While I was very tired from the drive, we stayed up and had some interesting conversation with other guests. There was a couple form New Orleans who were driving across the country visiting national parks and sightseeing. There was also a man from Orlando who was looking to move to Montana to work as a police officer. He was staying in AirBnBs all over Montana as he applied for and interviewed for jobs throughout the state. He had some pretty crazy stories from his travels including jumping out a window to escape noisy houseguests, staying in an outdoor “room” in a patio, and staying in a camper van with a unconventional male host in very short shorts. Karen made us homemade cookies and had our room clean and prepared when we arrived. She treated us like family and was very accommodating. We don’t choose to AirBnB often, but it was a nice change from the hotel-norm to meet some fellow travelers and swap stories. 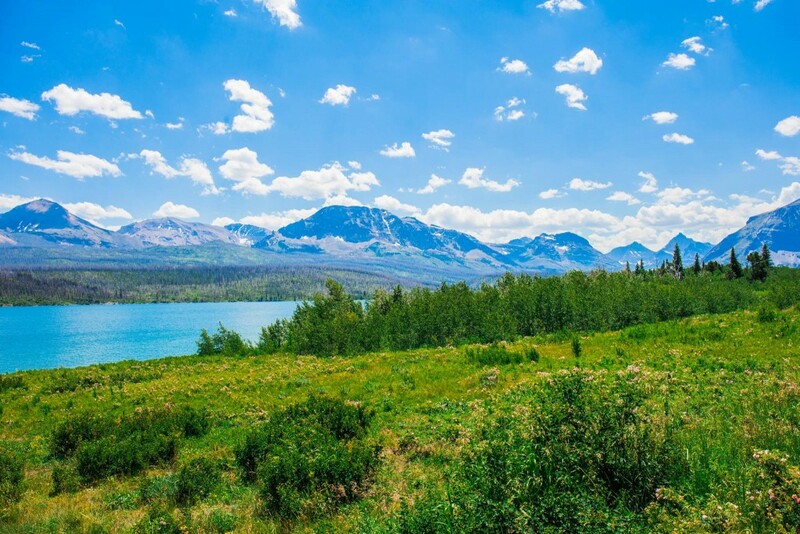 On our next day, we finished the drive to Glacier National Park, about 4.5 hours. Since we only had about half a day when we arrived at the park, we decided to do the scenic drive on the Going to the Sun Road through the park. This road was completed in 1932 and is always a challenge to plow after every winter. It usually opens around July 4th weekend, and we were lucky for it to be open when we went. There are plenty of pullouts along the way for photos and views. We took our time the first time to enjoy it, but we ended up driving it two more times the next day. Since we still had a couple more hours before we wanted to head back to the hotel, we decided to test our luck finding parking near the Avalanche Lake trailhead. We lucked out and got a hike in with the daylight we had left! 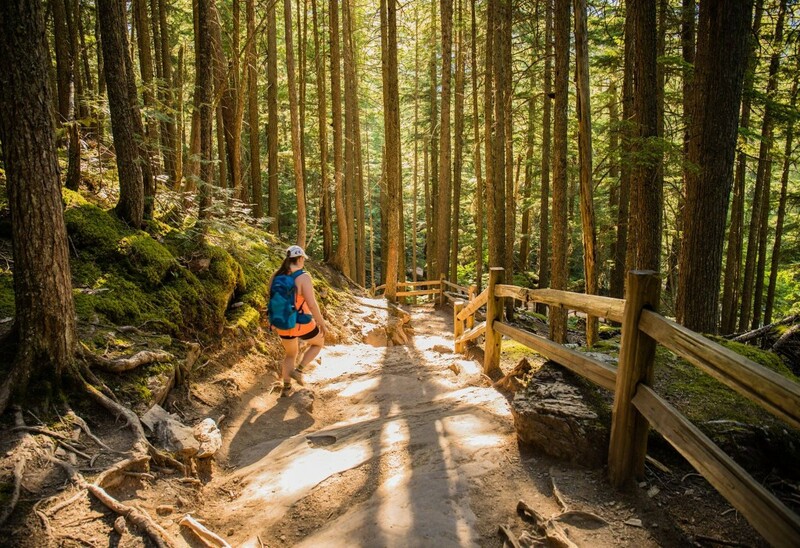 The trail starts at the Trail of the Cedars, an easy boardwalk loop that passes through hemlocks and red cedars, about a half mile long. 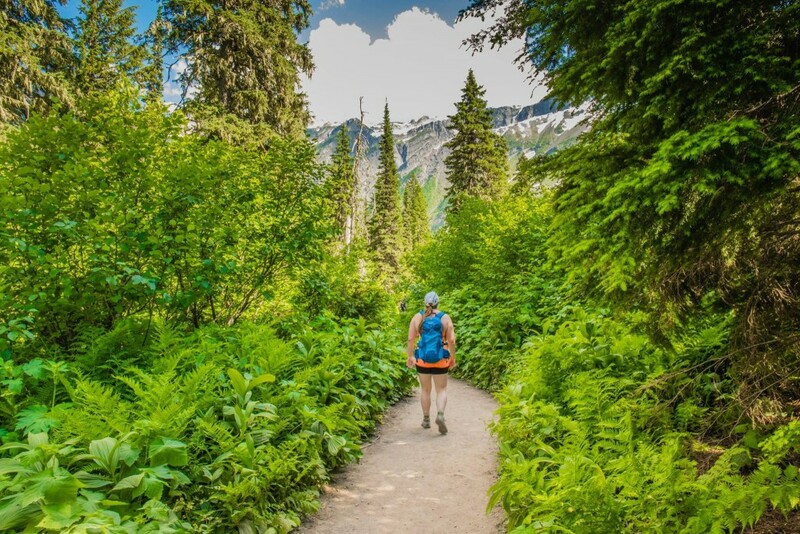 After the boardwalk ends, the trail junction for Avalanche Lake continues. At this point, we noticed that the feel of the area was slightly humid, and reminded me of the forests of the Pacific Northwest with mosses and lush ferns. This area is the eastern edge of where the hemlocks and red cedars grow. The hudmitiy allows them to grow as high as 100 feet with a diameter of roughly 4 to 7 feet. 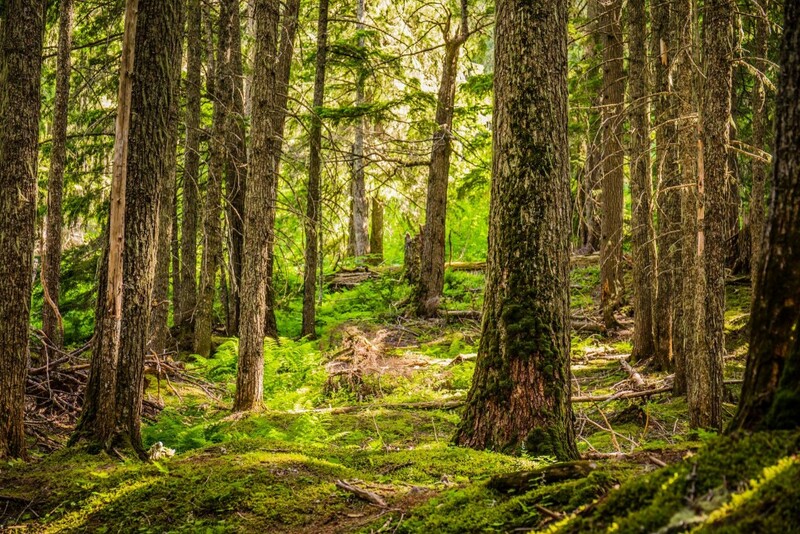 Some of these trees are more than 500 years old! I was surprised to find such an environment outside of the typical areas of the Pacific Northwest. Just after the junction, the trail follows Avalanche Gorge and Avalanche Creek. The trail follows the creek for a short distance until it climbs further upwards into the forest. The trail is mostly shaded by the trees, with occasional points where the trees clear for a view of the mountainside. 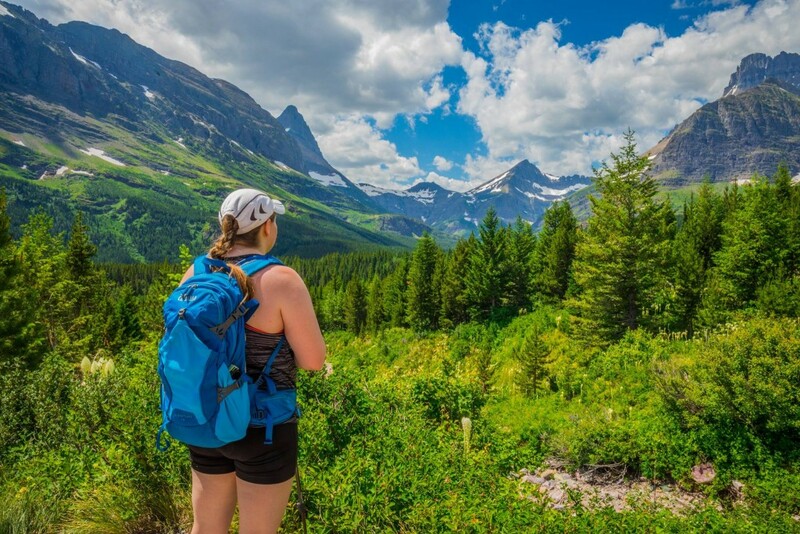 Just after a pit toilet, at 2.3 miles, the trail meets the foot of the lake where you will see beautifully blue glacier water with stunning views of Little Matterhorn and Bearhat Mountain. 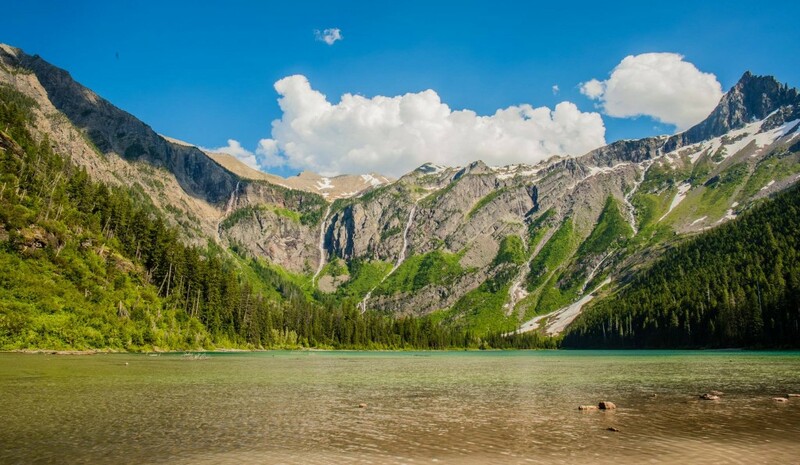 The lake is fed by several long, cascading waterfalls that are mostly originating from Sperry Glacier which cannot be seen from the lake. After our hike, it was another hour or so back to Kalispell for dinner and crashed in our comfy hotel room after a long day. 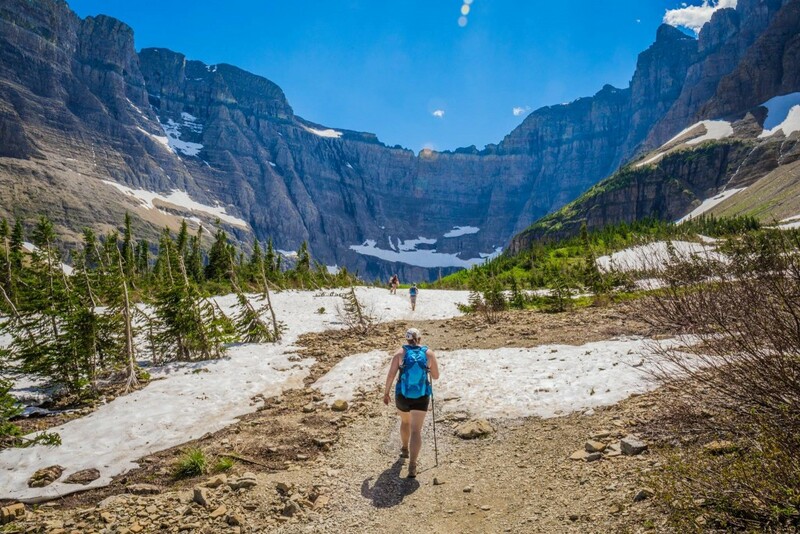 Recommended by the park ranger at the visitor center and by guests staying in our hotel, we chose to do the Iceberg Lake hike for our full-day adventure in GNP. 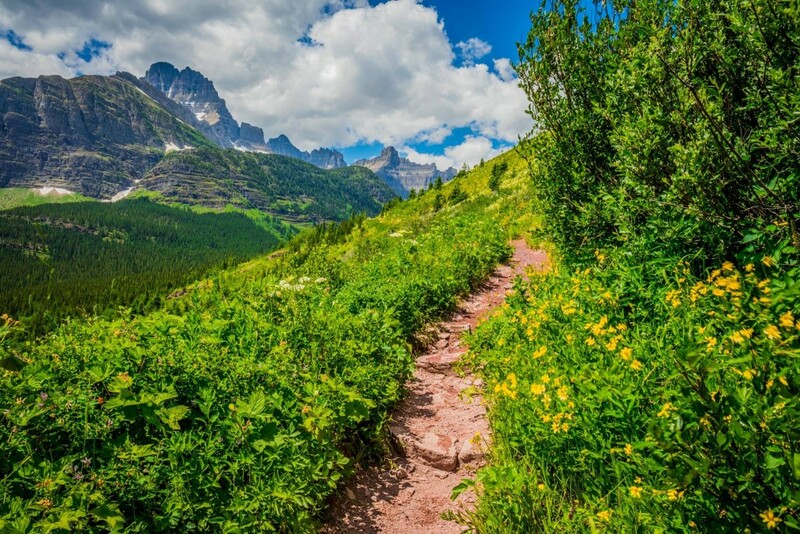 I was really hoping to do the famous Highline Trail in Logan Pass area during our trip, but it was still snow-covered and not an option. I still wanted epic views of the mountains though, and this hike definitely delivered that and more! The trail spends some distance hugging the mountainside as you head northwest. The trail is quite exposed, so be sure to use plenty of sunscreen and wear a hat. Since I seem to get burnt most hikes, and I felt like I was going to get a little crispy, I was diligent about reapplying sunscreen. I only had a little red on my back afterwards— small wins for health! The trail eventually leads into some forest which provides some much appreciated shade. At about halfway through, you’ll see Ptarmigan Falls where people stop for a snack and a pit toilet. Shortly after, there is a sign for a split off to go to Ptarmigan Lake and the Tunnel. 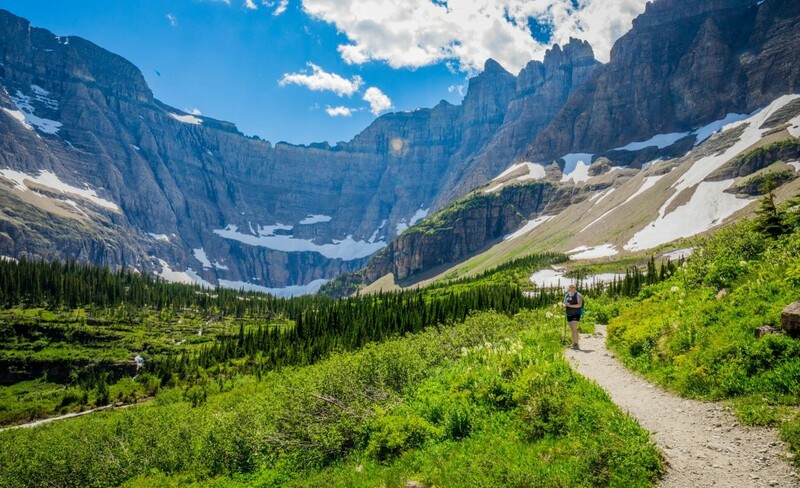 The tunnel was closed when we went, but most people were heading to Iceberg Lake, about 2.1 miles further. 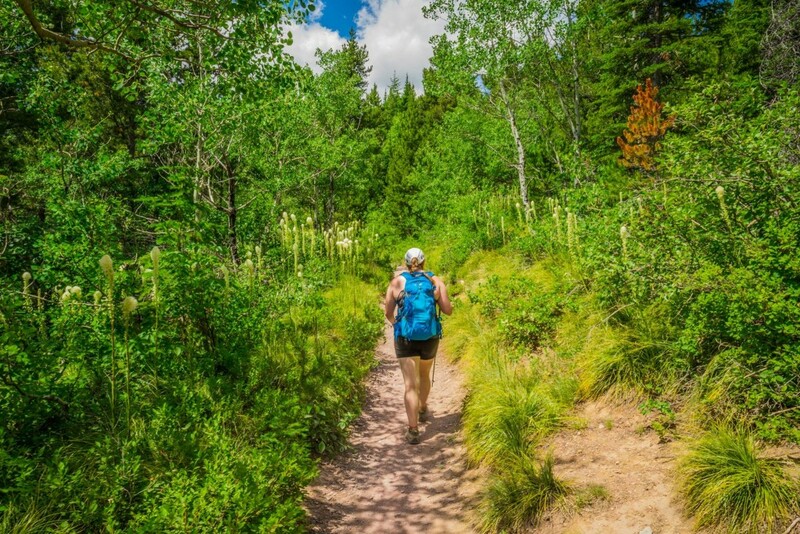 Brighton has been battling what we think is plantar fasciitis and we considered turning around, but we spoke with an older couple along the trail who told us it was worth it and to keep going. So we did, and we’re glad we did! The trail continues to weave in and out of the forest, crossing small streams along the way. We came upon a group of hikers stopped on the trail, pointing and taking photos. My first thought was “it’s a bear!” but it turned out to be two young moose grazing about 50 feet off the trail. I am so thankful that no one tried to get any closer to them and cause an incident. I’ve heard so many horror stories of tourists in national parks approaching wildlife that it worries me! Eventually the trail starts curving west and southwest to reveal your destination: Iceberg Lake. You can see your destination as it’s a larger-than-life bowl covered in ice. You’ll reach a small blue lake, and as the older couple said, “you’ll want to declare victory, but not yet!” and that means you’re almost to the real lake. About 10 minutes further, the trail will suddenly reveal the clear blue-green lake complete with large chunks of ice surrounding and floating in the lake. The lake lived up to its name! We sat and enjoyed a brief snack and watched a fun show of a few guys climbing the side of the bowl and sliding down on their shoes and butts and then finishing with a dive into the ice-cold water. They had quite the audience! I’m not nearly as brave as they were, but I did enjoy the destination and feeling of accomplishment. After a break, we headed back the same way we came. The trail was extremely busy on the way there, but it was oddly quiet on the way back. It’s bear country (both black & grizzly), so we proceeded with caution. When we got back to the the open vistas, there was an extremely strong wind that was INTENSE. I felt like it could’ve blown me off the trail. Brighton thought it was really cool though. 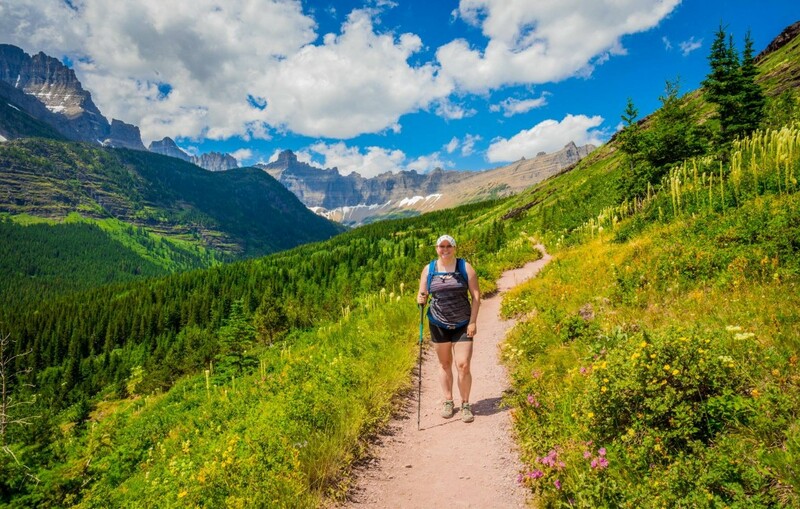 This hike is a great way to experience some of the best that Glacier National Park has to offer! 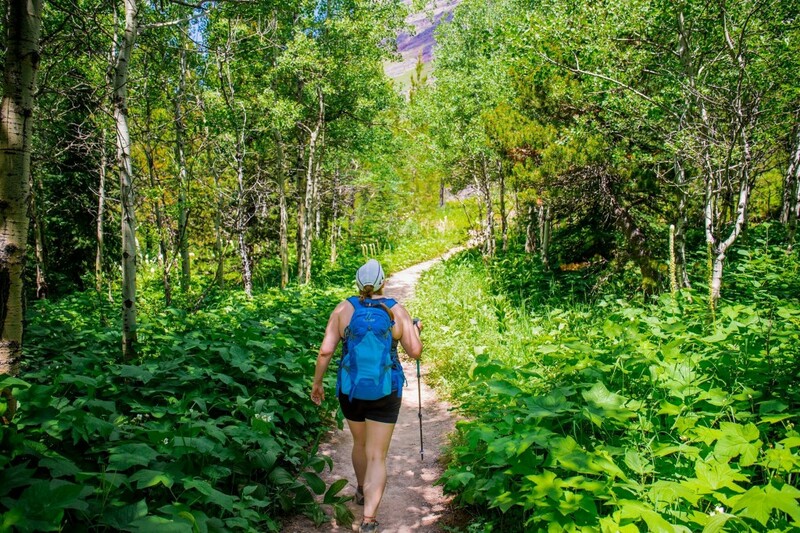 The hike is easy enough that if you take your time, most people can complete it, even if they are not used to hiking. The epic rugged views make you feel like you hiked days into the backcountry to see it. 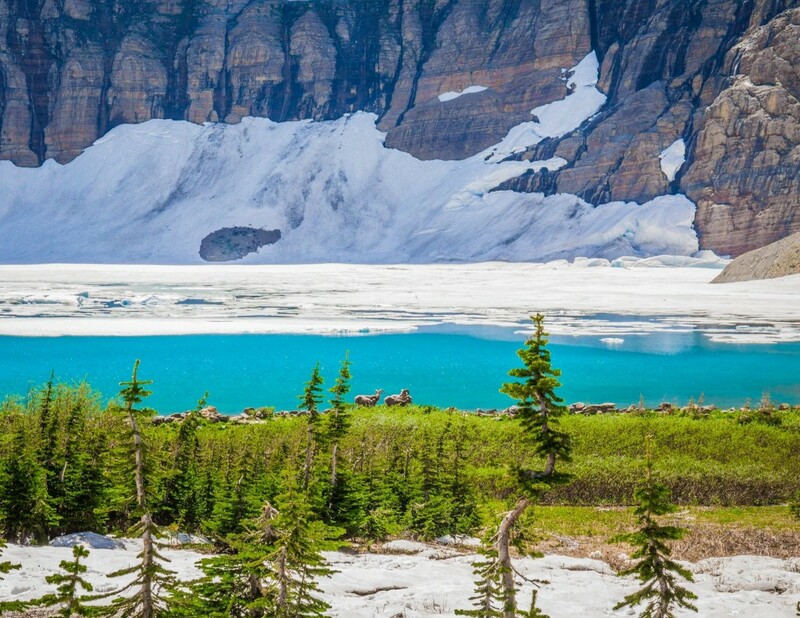 The destination (Iceberg Lake) is equally as epic, giving you a sense of the scale of how these giants were carved by thousands of years of the ice melting. Overall, after a total of 15 miles in hiking, a couple days in the park, and a lot of driving, we headed out early on the 4th to head home. After this visit, Glacier continues to be one of my favorite parks we’ve visited thus far and I look forward to returning again in the future. 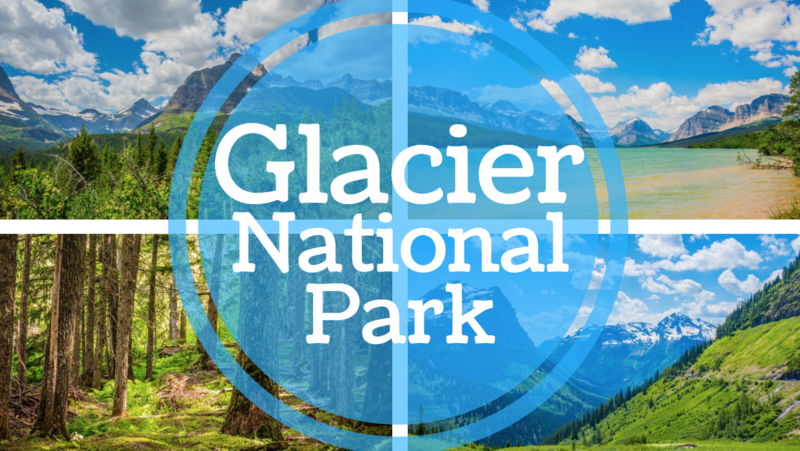 What are your must-see spots in Glacier National Park?